As part of our ongoing series on mobile growth, we speak with Inma Cañadas, VP of Marketing at Fandango Latin America who tells us how online ticketing apps can drive growth and keep users engaged in multiple regions/countries. Can you tell us a little about Fandango Latam, and some of the top challenges you faced as you scaled? 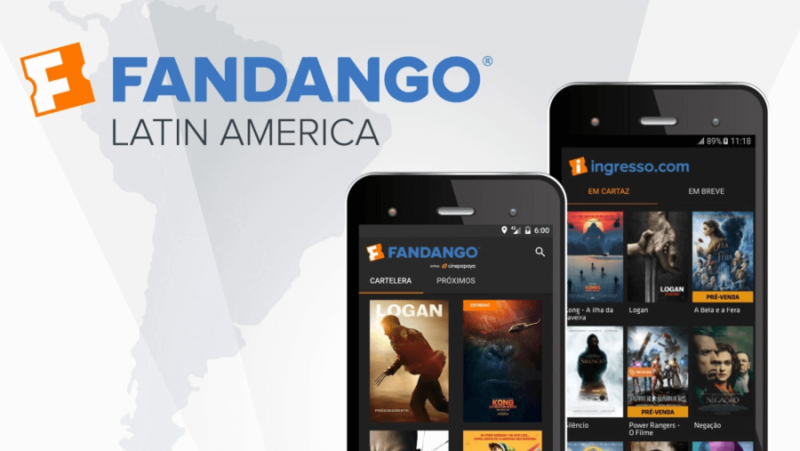 Fandango is the largest online ticketing player in Latin America. We’re the fastest growing geographic location for Fandango, handling ticketing for 10 countries through a single website and app. We’re also in the process of deploying ticketing in 7 more countries in the coming months. User retention: Our biggest challenge as we grew was retaining users acquired through paid campaigns. Most of these users would usually just download the app, and uninstall after a brief period of time if the DSP partner optimization were not good enough. Which made it extremely critical to balance the CPA (cost per acquisition), with the value that we derive from the acquired user to select correct partners. In case you’re wondering why we prefer to follow the CPA model over CPI (cost per install), it’s because we want to correlate the acquisition with the movie tickets booked, and CPI doesn’t necessarily add value to our business goals, so all the campaigns are based on CPA. Single view of the user: We also wanted to get a single view of the user’s journey – on the web and on the app. With multiple touchpoints, it’s important to understand what’s working and what’s not. Targeting the user at the right time: With a single view of the user, it becomes necessary to use some of the insights gathered to send them the right message at the right time – through push notifications, SMS, email, and so on. Mobile marketing at scale: We were previously using another tool, which limited the number of users we could target. We have over 6 million users on the platform and are growing month-over-month. We have a commerce team that is continuously looking for new screens to the platform, which adds to the number of users on Fandango. Currently we have over 5,300 screens that are signed on and about 3,400 of those are being onboarded – a number that is continuously growing. To support this kind of growth, we needed a tool that helped us scale, not limit us in terms of the number of events or users we could manage. What are some of the metrics & KPIs that you monitor at Fandango? 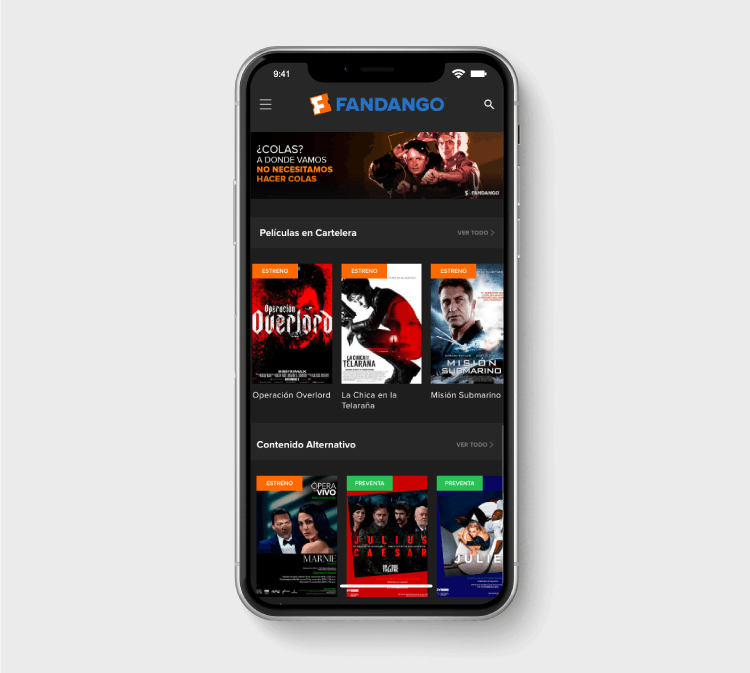 The digital marketing team at Fandango leads the mobile app and website efforts around increasing user acquisition, mobile engagement, and customer retention throughout the entire user lifecycle. Monthly Uninstalls: We track app uninstalls, and maintain month-over-month data of app users who have churned. Even if we are losing a user, they are leaving behind valuable information that can either help us win them back, or improve the experience for existing users by identifying the friction points within the app, and how we can improve the stickiness of the app. Monthly Active Users: This KPI tells us the number of users who engage in some way with the Fandango app at least once a month. This is a vital indicator of the health of the Fandango user base. Tracking MAUs also tells us about the quality of our engagement campaigns, and if we need to make more effort in engaging and retaining users. Number of converting users: While onboarding, engaging, and retaining users is great, the true indicator of our success lies in the users we are able to monetize and convert. Conversion rates and the number of users who are actively engaging and purchasing tickets on the app and website are essential KPIs that define success for us. Retention cohorts: User Retention Cohorts help us understand and group users who have performed a certain action such as watch a movie trailer, and their actions thereafter; on a daily, weekly, or monthly basis. This again is an important indicator of our app’s stickiness, and if we need to do more to move the needle on user retention. What makes user retention cohorts essential is that it helps us find out if user engagement is actually getting better over time or if it is only appearing to improve because of user growth. The CleverTap dashboard provides us with an indication of where we are with our marketing campaigns. We monitor daily progress – from the number of activations and uninstalls to app launches and conversion events. We also track the contribution of our engagement campaigns to revenue. Overall, our campaigns have shown a clear 5-7% bump in the contribution to revenue which is significant considering the vast reach of these campaigns. How important is the mobile app for you? Is it easier to reach users on the mobile app, and what are your thoughts on acquiring users? The mobile app is mostly used by our power users, which makes it important. These are users whose frequency of purchasing tickets is much higher than a casual moviegoer – at least once a week. Most of these users tend to book movie tickets every Thursday or Friday, the day a new movie comes to the theatres, or during the weekend. What were some capabilities you were looking for that made you consider CleverTap over your existing tool? We were using a combination of analytics tools and engagement tools based on the channels (e.g., email, push). As mentioned earlier, we were looking for a tool that would scale with us and provide a single source of truth about our users to overcome the challenges of managing analytics and engagement at scale. Campaign personalization: We wanted to make our campaigns more personalized, and dynamic. We wanted to incorporate the user’s first name within the push notification content, and also ensure that we could incorporate the user insights such as movie preferences for delivering notifications to each user. Triggered notifications: We needed a mobile marketing tool that could help us automate the process of sending triggered notifications based on user activity on multiple channels, such as push notifications, email, or web push. With point solutions it was getting hard to scale, requiring a lot of manual intervention. For example, with a use case such as cart abandonment, we needed a tool that could automatically notify the user on multiple channels, or the most preferred channels of communication. Movie recommendations and other campaigns: While we had an email service provider (ESP), we wanted to augment those capabilities with AI and ML. This is where CleverTap came in, adding a layer of segmentation to the recommendation emails and newsletters. This way, we are able to run all our campaigns using a single tool, and integrating the ESP’s APIs to manage the delivery of our marketing emails. How do you segment your users? Are there any strategies that you generally follow? We usually segment our users based on past activity and their interests. We have defined key user attributes – like users who have seen a movie description, watched a specific film trailer, or have previously purchased tickets to an action movie. This way we are able to dynamically add users to that segment as soon as they meet the criteria. With this, it’s possible to easily target specific segments of users with personalized messages, all in real time. Users with a preference for similar types of movies. For example, users who have a preference for a certain movie genre, a particular movie star, or a certain director, and so on. Users who transact on specific days of the week. For example, whether a user generally prefers to watch movies during the weekends, or to book tickets on a weekday when we run offers and discounts. Users who live in a certain city and watch movies at a specific cinema chain. We show them cinema chain specific promotions. What are some of the key benefits you’ve seen with CleverTap? We can look at the users’ journey across multiple devices: from the web, to their phone, or their tablet. It is possible to get a sense of their interests based on the actions they perform, and what motivates them to perform a certain action on Fandango. This not only provides us with a single view of the customer but also improves engagement and the user journey across channels and devices. Personalization: We’ve been able to personalize the push notifications based on the user’s first name, and add additional elements like emojis. Since we’ve started doing this, we’ve been seeing a steady rise in engagement, with numbers going up 2-5%. Segmentation: We like that we’re able to get down to granular level of detail about our users and being able to segment them on so many different filtering parameters including their past actions and behavior. With CleverTap’s automated segmentation capabilities, we can divide our users into distinct groups that range from champions and loyal users to at-risk and hibernating customers that are likely to churn – by identifying how recently and frequently users have performed an action such as purchasing a movie ticket. Journeys: We find the Journeys feature particularly useful, especially how we can dynamically trigger campaigns based on events, and not just based on user profiles. Journeys is a great feature to create engagement campaigns that connect across the different messaging channels that we use. Currently, we use journeys to promote major movie releases. For example, we ran campaigns promoting specific movies, where we targeted dynamic segments that were created based on genre preferences, purchase history, and more. which helped us achieve higher than average conversion rates of over 10%. This was for the people who were part of the journey and received a notification. We have a lot of exciting things lined up over the course of the next year. We are adding a lot of cool new features like automatic refunds, group payments, and benefits for our VIP users, among other things. We’re also looking forward to the launch of CleverTap’s ML-powered intent based segmentation features to see how we can fit that into our larger marketing strategy. Journeys is a feature we’ve seen yielding great results for us, and we’re hoping to explore it in more detail, building an experience that is geared towards driving conversions. We’re already leveraging data to drive engagement across channels, but are hoping to see more features that help us focus on being more goal-driven in the near future.